Please select options for JMS PedalMAX Drive By Wire Throttle Enhancement Device (11-19 All) at the top of this page. 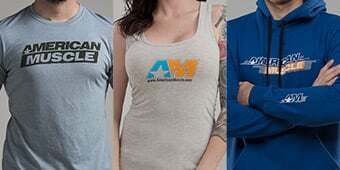 Hey, everybody, I'm Justin with americanmuscle.com, and this is my detailed review of the JMS PedalMAX throttle enhancement device available for your 2011 and newer GT V6 and EcoBoost Mustang. In this video, I'll talk about some of the benefits of installing the JMS PedalMax on your S197 or your S550 Mustang and we'll touch on the install itself. And right up front, guys, I'm gonna tell you this is a plug and play job. One out of three wrenches on the difficulty meter but we will have a little bit more detail coming up later on. The JMS PedalMAX is going to appeal to the S197 and S550 owners out there looking to eliminate that annoying throttle lag that can sometimes be a little problematic with the newer drive by wire cars. Now, this thing can be used with or without your favorite custom tune and JMS even claims a little bump in low-end power and torque. But I don't want you guys to get hung up on power numbers because that's really not what the JMS is all about. So with all that said, let's take a closer look at this product. Now the days of having a cable-controlled throttle body are unfortunately a thing of the past. I'm gonna probably sound like an old guy here but I personally prefer having a cable-controlled throttle body to the newer drive by wire technology because I know the moment my foot hits the floor that throttle body will be wide open. With the newer drive by wire cars, the moment your foot hits the floor a signal gets sent to a computer, the computer tells the throttle body to open. Obviously, all this stuff happens very quickly but if you have driven the newer drive by wire cars, you probably noticed the smallest bit of lag in between shifts, especially when you're really rolling gears. And that's where the JMS comes in. Now most of the drive by wire cars are set up or pre-programmed from the factory for the masses. So this means driveability comes first, performance takes a back seat to that. Unfortunately for a lot of us Mustang owners, performance usually takes top priority and the lazy factory throttle can sometimes get in the way of that. So what the JMS is gonna do for you is monitor that throttle signal in real time from your drive by wire setup and then reprogram or remap that throttle signal giving you enhanced throttle response in the process. JMS actually claims that this is going to make the car more manageable in heavy traffic situations or stop and go type situations where stalling can be an issue. This is even gonna help modern Shelby cars which I have heard through the grapevine can be a little difficult to drive for newer owners out there. Stalling can be an issue. 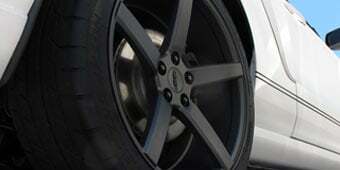 JMS claims this really helps out the modern Shelby owners. Again, I can't attest to that personally as I don't daily a Shelby. So the JMS is gonna monitor that throttle signal in real time from your drive by wire application, reprogram it or remap it on the fly, giving you increased throttle response in the process. JMS actually claims that this is gonna help make your car more manageable in heavy traffic situations or stop and go type situations where stalling can sometimes be an issue. Right out of the box, the JMS is gonna give you maximum effectiveness or maximum throttle response the moment you plug this thing in. Now for whatever reason, it's a little too radical for you or maybe it's a little too touchy for your driving style, you can always plug in the included the red 4-pin connector which JMS claims will desensitize this thing by about 40%. So you are still picking up a good amount of throttle response over your factory calibration but the car shouldn't be as touchy. So in essence, you're getting two standard settings with the JMS right out of the box as this product sits right here. However, if you did wanna have the ability to kinda fine-tune your throttle experience using the JMS PedalMAX check out their optional control knob here on the site for another 50 bucks. It does give you a few more settings to play with, and it does give you the ability to kinda change this stuff up on the fly. Now that's something that's not exactly easy with the JMS as it sits right now because you'd have to crawl under the dash, either plug in or unplug that 4-pin connector we just talked about. Not exactly something you can do while at a red light or while on the road. Now as far as using this thing with or without a custom tune, that's entirely up to you. But what I will say is the JMS PedalMAX here will give you some of the benefits of going with an aftermarket tune but without having to flash the car. So for you owners out there who aren't ready to pull the trigger on a tune just yet, this would be a great way to give you some of those benefits with saving you some money in the long run. On the other hand, if you did wanna piggyback this on top of one of your canned tunes that you already have or maybe even a custom tune, that's something you can totally do as well. In fact, check out some of our customer reviews if you haven't done so already. A lot of our customers have actually done this with great success. Just check those things out for yourself. As far as price or value, the JMS will set you back just south of 300 bucks which I admit isn't the cheapest modification for your S197 or S550 but it's certainly more affordable than some of your custom tuning options out there. Now sure, you're not gonna be getting the big power gains from the JMS like you would with those custom tunes but there are still certainly benefits to be had with the JMS. Moving on to the install and honestly, like I said earlier, it doesn't get much easier than this. Simple plug and play job with the JMS, maybe a few minutes from start to finish. And you really don't need a ton of tools to get this one knocked out. JMS does recommend unplugging or disconnecting your negative battery terminal first before getting started with the install. After that simply climb under the dash, remove the plug connected to the top of the gas pedal. After that simply plug in the JMS to that sensor there, plug in the factory harness to the JMS, and your install is complete. 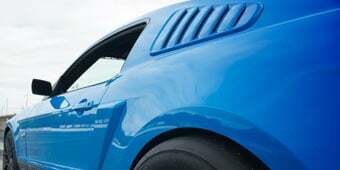 So that's my review of the JMS PedalMAX for your '11 to '17 Mustang which you can get right here at americanmuscle.com. Eliminates Pedal Lag. The drive by wire accelerator pedal of the 2011 to 2019 Mustang is well known for lag. If you have ever tried to speed up to merge with traffic you have most likely noticed a delay in throttle response. 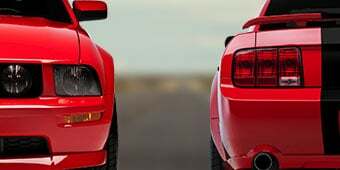 On older Mustangs the gas pedal was attached to a mechanical cable that ran to the throttle body or carburetor that provided instant feedback. 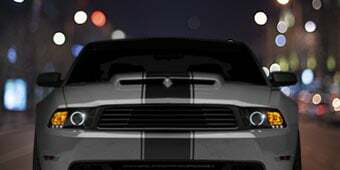 However, on modern Mustangs the gas pedal is electronically controlled, similar to a dimmer switch, which has to send the signal to the ECU, which in turn sends the signal to the throttle body causing this momentary delay. To eliminate this annoying delay JMS created their PedalMAX Electronic Throttle Enhancement Device. Eliminates Stalling and Improves Power. The JMS PedalMAX will not only eliminate pedal lag, but it will also enhance throttle response, horse power and torque in the low to mid RPM range. The PedalMAX is also ideal for eliminating stalling when accelerating from a stop in manual equipped Mustangs, a notorious issue for the 2013-2014 Shelby GT500's. Application. This JMS PedalMAX Drive By Wire Throttle Enhancement Device is designed for use on all 2011-2019 Mustangs including the V6, EcoBoost, GT, BOSS, Shelby GT500 and GT350 models. Will this work with a Bama tuner? 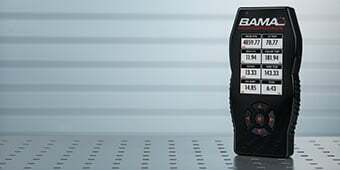 If you have a BAMA tuner, you will not need this item. Can I install this if I have a Bama X4 Tuner? 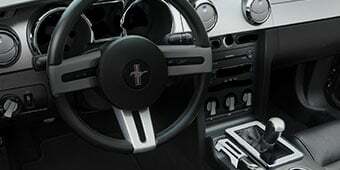 Generally if you are using a handheld tuner on your Mustang then you already have an adjustment made for throttle enhancement. However, you can turn off the throttle enhancement from the tune and use this JMS PedalMax then you may experience better results. You will not find benefit out of this throttle enhancer if you already have a throttle adjustment made on the tunes your vehicle is running. Would this compliment or even be necessary if you have the Ford Performance Power Pack 2 since ECU tune is included with the power pack? The JMS PedalMAX Drive By Wire Throttle Enhancement Device can be used with the Ford Performance tune, allowing further adjustability of the throttle. Wile this would be a benefit, this will see greater benefits on an untuned car, since most tunes will adjust the throttle over stock. 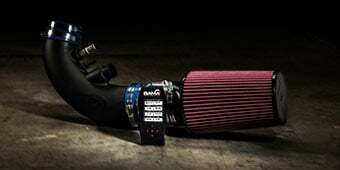 Can this be stacked with the Roush Power Pak 1. A roush tech said yes but I’m curious as to whether that is correct info. This will indeed work on an automatic trans. The JMS PedalMAX Drive By Wire Throttle Enhancement Device does not add any additional torque to the vehicle. However, this device changes the signal response to your vehicles accelerator which makes the vehicle deliver the power at a much faster rate. This will simply be a throttle enhancer and would not be able to tune or change the digital signal for other mods like the throttle body. This can be used with the X4 tuner yes. This will work on an automatic, and can be stacked with aftermarket programmers, however you do not need to use one. We have not tested the JMS Pedal MAX being used with the MSD 2-Step. The JMS PedalMAX Drive By Wire Throttle Enhancement Device does not compare to a tune. 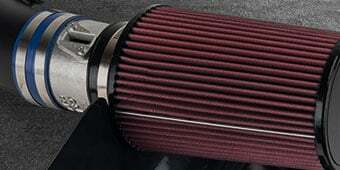 A tune maximizes horse power on all stock or specific aftermarket parts. This product is something the just gives you more off the line power and reduces pedal lag. 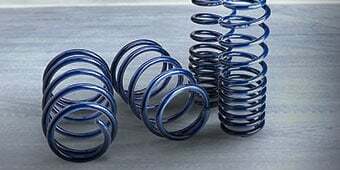 According to the Magnuson-Moss Warranty Act, a vehicle manufacturer cannot void the warranty of your vehicle due to an aftermarket part unless they can prove that the aftermarket part was the cause of or contributed to the failure of the vehicle (15 U.S.C. 2302 (C)). This means that a vehicle's warranty cannot be "voided;" the dealer can only deny a claim if the stock part failed due to damage or unreasonable use. I was skeptic about this product at first, but once I installed it and have had it now for about a week, it really makes a difference. I have a v6 2014 and the lag i was getting from really hitting the gas peddle was disturbing me, the pedal max took that away completely. My cars runs and shifts gears much more efficiently. A little bit more than plug and play because of the battery disconnect, but still a very easy instal. Would recommend this to anyone with the same lame peddle lag issues! I start have pedaling issue after I put GT350 voodoo intake on my 2017 mustang GT pp. I have a GT350 voodoo intake, corsa header to catback. I was having hard time to take off with 1st and 2nd gear. It had terrible jerking and hesitation... could not control smooth pedal work whatsoever even with tune file. With JMS pedal max, woooow super easy to control pedal and even gain a lot of gas mileage is PLUS!!! now I am really having fun driving with all mods I wanted have. Feeling all of voodoo intake what it is supposed to. I am very satisfied with this JMS pedalmax I would recommend it for you if you are thinking about it!!! It’s amazing, yet still want more. You instantly feel the power increase. Don’t have to flood the pedal all the way down anymore for that speed. Was more than I expected, aggressive wise. Definitely felt the difference right away. Takes a bit to get used to but will be thrilled when you do. Very easy to adjust to suit your likings from 0-100 on the fly. Very happy I made the purchase and would definitely recommend! I should have got this earlier. immediately saw the improvement in acceleration and pedal response. Was a little unsure at first but pulled the trigger! What a difference, takes the lag right out. Feels like sport mode all the time and when you do put it into sport mode, smiles from ear to ear! Incredible increase in power w the adj. wide open to the max position is crazy sick and touchy. Feels like an extra 50 hp when used. Buy this product. I should of purchased this a long time ago!!! The middle setting is thecsweet spot for city driving and wide open is when you really want to have some fun. Put this on my 17 ecoboost with a mod. The respond 100 better. Will put a smile on your face. Must have mod!! The actual installation/wiring connection was easy except the routing of the lead to the battery thru firewall. Make a plan for this. Working under the dash for the installation can be a problem if you are not small of stature. I was able to only use one hand for most of it. The sensitivity at 100 was manageable but much easier to drive with adaptor to 60 installed. I usually don't go for items such as this but reading a couple of reviews made me take a chance. All I will say is it was worth it. After hooking it up, I didn't realize it was set at 75. I nailed the throttle and it threw me back in my Recaro! I'm finally loving my GT350. I received my PedalMax today, installed it this afternoon pedal lag is gone nice response. Plug-and-play part of install is really easy, but as we all know getting under the dashboard of a Mustang not so easy. As far as running the constant power wire to the battery, I found a plastic plug in the firewall right under the driver side Hood hinge, just take a razor knife put in a small cut in it pass a stiff wire through to the inside attaching wire to it and pull it through the plug, piece of cake wire is plenty long enough to reach the battery. Noticed a significant increase in throttle response happy with the purchase. Definitely makes a difference. No need for the adjuster switch in my opinion. Fellow Mustang Owners - I was amazed what this device did when I installed this in my Supercharged GT! The throttle response after install was like Night and Day! The whole car seemed to awaken with the touch of the gas pedal after installing the JMS Pedalmax! If you have been thinking of getting this.... do it! I promise you that you will be very happy with the results once installed. You will need to relearn your habits with this device as it’s very sensitive when getting on the Gas petal. It awakens the feel of the accelerating aspect like you never imagined in your mustang. All I can say is WOW! AWESOME PRODUCT! I’m a believer! This is a must have device for your mustang! Very happy with the purchase. Throttle is responding like it should now.